If you live in the Sister Islands and see a green iguana, you're being asked to phone in to a new hotline created to help eradicate green iguanas in Cayman Brac and Little Cayman. 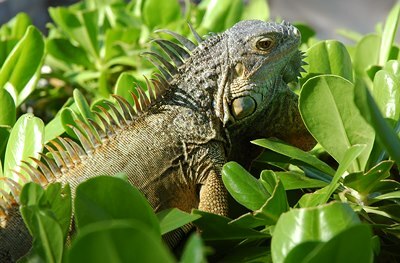 Department of Environment officials are hoping that by compiling data on the green iguana, they can better prevent the pervasive intrusion of the prolific green iguana. In addition, to protect the sister island's endemic rock iguana.